High end service. Technicians are very good, service writers are competent and easy to work with. Love my MINI. Negotiated a good price on an almost new Audi Q5. Easy transcation. Quick delivery. Would deal with them again. I have been dealing with Mini of Fairfield County since 2010. The service department is amazing! They are friendly, professional and have always gone out of their way to be accommodating. THANK YOU!!! 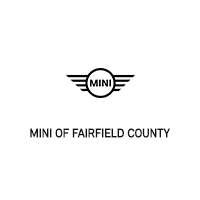 I have leased Mini Coopers from Mini of Fairfield for over a decade. Sales and service at this location is impeccable. Friendly, professional, thorough, thoughtful service every step of the way. The cars are great but, the service and honesty from everyone there is why I lease from them year after year. Definitely on a par with any luxury vehicle dealership. I always recommend them very highly to anyone who asks. It's a complete pleasure to work with them every time I am there. First class staff. Excellent operation. Great Service team delivering an exceptional experience! I was promptly met and greeted at the door and my car was whisked away to the service bays at once.By the time I had made my coffee and chatted with the sales team, I was informed that my MINI was safety checked and the service had begun. My keys were handed back and my car was washed and vacuumed in no time!Highly recommended MINI Store!